Moving in inclement winter weather comes with many unique challenges. Summer is the easiest time of the year to move. The weather is nice and dry, and you don’t have to worry about slipping and falling on a patch of ice in addition to everything else you’re dealing with. 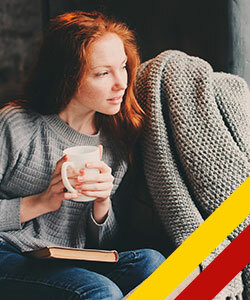 While winter won’t officially be here until December 21st, we’ve already seen a few snowy, blustery days here in Northern Colorado, which makes now the perfect time to talk about how to tackle the unique challenges of moving during inclement winter weather. #1. Hire a local moving company. Moving on your own can be challenging and dangerous enough. All it takes is handling one heavy box or piece of furniture wrong to end up with an injury that could follow you around for the rest of your life. The cold and the ice only adds to the danger of moving, and it becomes even more important to get the right help for your move when the weather starts taking a turn. Even if you only hire furniture movers to handle your bulky furniture and other heavy belongings, it’ll be better than getting hurt while trying to move it on your own. Not to mention, when you hire a mover, you won’t have to worry about being out in the cold all day long! #2. Take extra care when packing. It’s always important to pack slowly and methodically to ensure that all of your belongings are protected during your move, but it’s even more important during the winter. Big shifts in the temperature can affect some items more than others. Very cold weather, for example, is particularly bad for breakable items, like glassware and dishes, causing it to break and crack. Electronics, too, don’t stand up well to extremely cold weather. These types of items should be stored in a climate-controlled setting for as long as possible, and when packing them, consider double wrapping them in thick blankets to reduce their exposure to the cold. #3. Make sure your new home is move-in ready. When the temperature gets low enough, it’s vitally important that your new home is ready for it. If the heater isn’t on or the previous owner left water in outside hoses or hose bibs, you could end up coming home to frozen or bursts pipes. As soon as you’re able to take possession of the house, make sure that the heat is on (at least overnight — it’s okay to turn the heat off while your movers are going in and out of your home), any garden hoses are detached and emptied and that all outside hose bibs are closed. It might also be a good idea to invest in rugs or a drop cloth so that your movers don’t track any sludge, snow or dirt into your home while moving. #4. Plan to move earlier in the day. One of the reasons why so many people opt to move in the summer is that the longer days allow them more time to get everything situated before it starts getting dark outside. Moving in the dark is less than ideal, no matter the time of the year, but in the winter, it’s even more troublesome since it gets even colder at night. And since the days are much shorter in the winter anyway, it will behoove you to schedule your move earlier in the day. #5. Ensure that there’s a clear path. 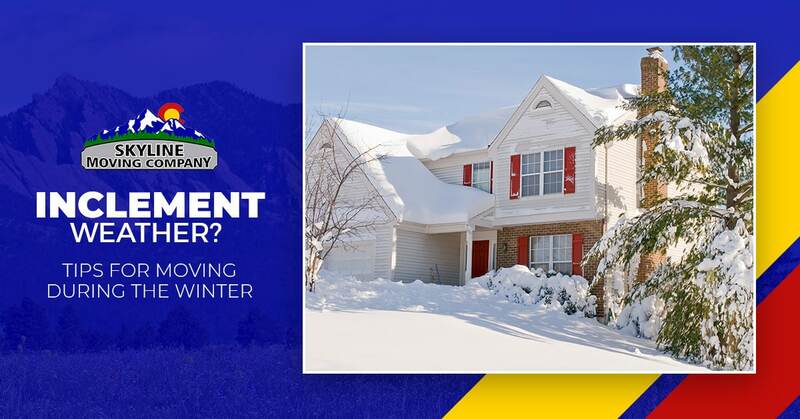 When you’re planning for a winter move, it’s important to check and recheck the weather forecast for both your old home and your new home, and to be on the lookout for any signs of snow or ice. It’s very important that, if there is any snow or ice, there’s a clear pathway for your movers into and out of your old home and your new home. Use ice salt to prevent ice from forming on your driveway and sidewalks, and plan to shovel a clear path for your movers before they are scheduled to arrive. For your winter move, turn to the experts at Skyline Moving Company in Denver. As the number one moving company in all of Colorado, our team of experienced movers has what it takes to make your move as smooth and as stress-free as possible, no matter what the weather is doing! Contact us today for your free moving quote.